Mirrored Back Curio. 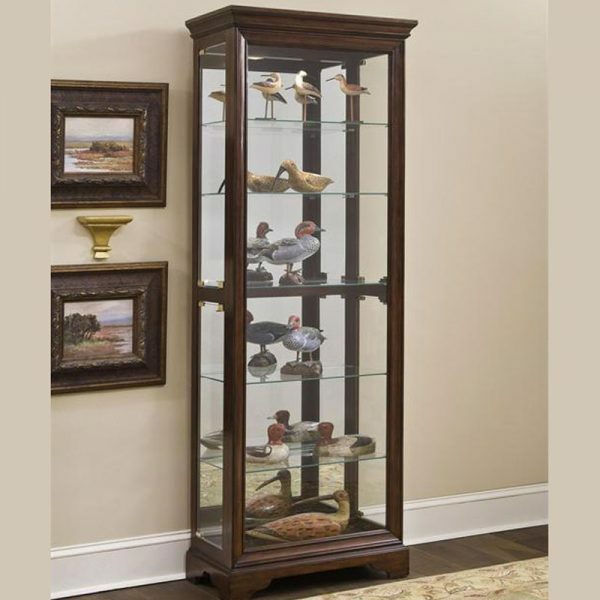 Our curio brings light, reflection, and interest to your collection. The design has real versatility, you can use it to display either antiques or modern collectibles. 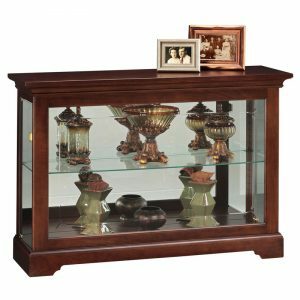 Our curio is built in select hardwood solids and veneers with a dark brown Gallery finish. It features traditional crown molding, a shaped base, and ogee foot. 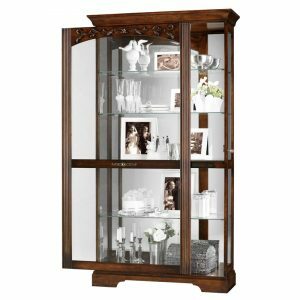 The curio includes a mirrored back, high-low halogen lighting, five adjustable glass shelves, and side entry.